Biodegradable and has organic farmers and growers approval so can be composted and spread on your garden after use. 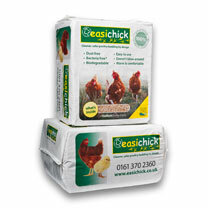 A dust free wood fibre bedding specially designed for poultry and other birds. Bio secure making it bacteria free, protecting both chickens' and chicks' health, as it guards against bacteria travelling through the shell. Available in two sizes: 10kg or 20kg. Easy to use, saving time as it doesn't get wet on top and more economical to use. Doesn't blow around and is ideal for soaking up muddy runs in winter. Warm & comfortable for your hens. 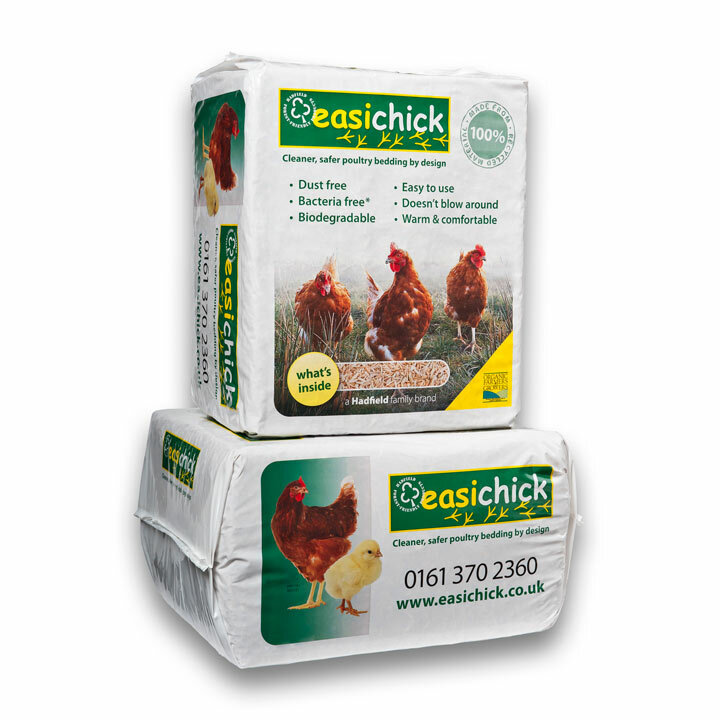 Award winning poultry bedding.